It's an altogether 'other' beast. Chaya! 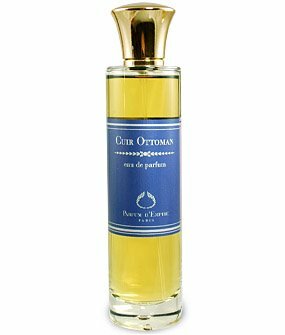 I may need to smell this again, because it didn't appeal much on the first try -- I got the horse, the saddle, the hay and the manure, all of which I liked, then a king-size wallop of the amber M-A Corticchiato uses in his bases, and pipe tobacco. Cannot do that amber. C., that lederhosen tour group image is hilarious. Will I ever be able to sample Cuir Ottoman with a straight face after having read it? This was the fragrance that tipped me over into Leather Love. I agree with all but the lederhosen imagery - I get draft horse tack, just before they are to go into the ring for competition. I'm helping cinch them up, but I'm doing so in a 50s Worth silk chiffon tea dress. Other than Chanel's CdR it's the only 'leather' I would consider wearing in warmer weather. A to-die-for favorite of mine and this is one of your best reviews, yet! For me, theres nothing dirty about this on my skin - it just exudes elegance. And thats exactly how I like 'em. I also get the huge wallop of amber in the drydown that Carmen describes, but it is tempered with the roughness of the leather. What a coincidence that I am wearing it today! It's a little late for this re-post but I decided to spritz this on today, to test it in relative heat (80s). It's wearing wonderfully. Unlike in the fall, where some harsh notes sear through, in the heat this dries to a nice, mellow leather/hay/leatherflower (I yakked about this already on Perfume Posse - not 'floral' flower - more a flower made of leather? )....really nice!